Employees, co-workers, friends and family love receiving this "towering" present at holiday time. 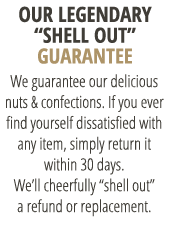 Includes everyone's favorite peanuts from the Virginia Diner Salted, Butter Toasted, Smoked Cajun, and Old Bay Seasoned. Available in our Classic gift box, these four 10 oz. resealable tins are popular for any occasion and make a great office gift. This set was a gift but I know they will be gobbled up with happiness. 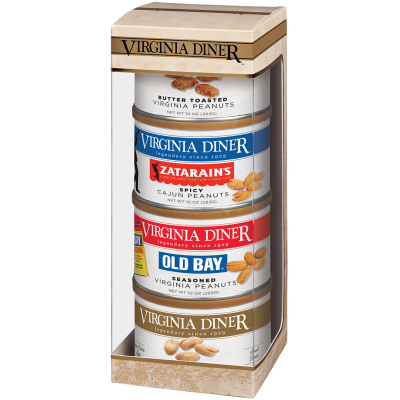 Any of the gifts from VA Diner are great for nut-lovers; there is one in my family whose birthday is right after Christmas, and he loves receiving these for snacking throughout the winter!